I'm thinking about maybe getting one. Or two. I'd really like my fave quote from Book of Lord Shang in small seal script, maybe combined with the motif of a Warring States bronze sword. But I also really want a fëanorian star. Might be getting both, actually. As soon as I have a couple thousand CZK to spare. In any case, I do like tattoos on other people. 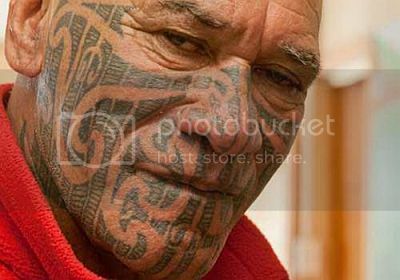 Maori warrior..I think they started the tat craze.LOL..
Tattooing is very common among indigenous people.